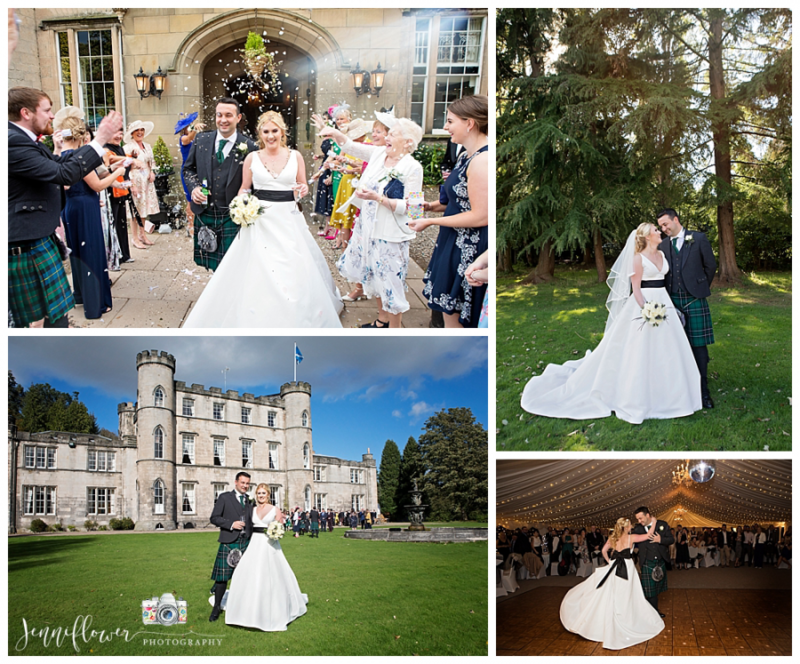 Andrew and Laura were married in late September at the beautiful Melville Castle. I loved Laura’s classic silk gown! It was tied with a black bow and the best bit is it even had pockets! (I love a gown with pockets.) Their day was very relaxed and fun. All of their guests had a blast in the blaring sunshine during the drinks reception. It couldn’t have been more perfect and the cherry on top was the surprise choreographed dance that the couple did for their first dance. It was AMAZING! Best wishes for an awesome future together Mr & Mrs McVey! Thanks for having me capture your special day. It was an absolute pleasure! To view their photographs please click on the image below but first you’ll need to contact the happy couple for the password.